Lancaster CA - #A4194176 little Balto had come in with a friend named Spike, Spike is no longer at the shelter and Balto is all alone now :( PLEASE SHARE! A young pup dumped at a shelter is struggling to come to grips with a new life, that is as confusing, as it is sad. Balto is trying her hardest to have faith in a system, that has seen so many like him executed, through no fault of their own. 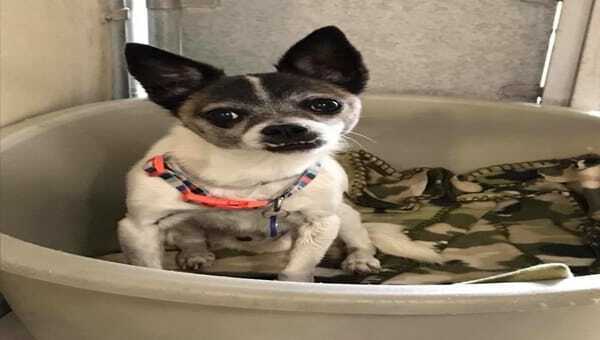 Balto bottom lef - Lancaster CA - #A4194176 - My name is BALTO and I'm an approximately 8 years 11 months old male chihuahua sh. I am already neutered. I have been at the Lancaster Animal Care Center since March 22, 2018. I am available on April 2, 2018. You can visit me at my temporary home L306. 1 Response to "Bonded pair separated! balto is still there! and formally place at euthanized list"